We also have a house in TAGAYTAY City that we have to furnish. With the current financial crisis hitting us and everybody else in the world, I would not be surprised if we would have a hard time doing it. My brother is filthy rich and he would probably get the property filled up by the end of the year. Modesty aside my folks and I should probably also step up and get the major pieces we need for the vacation house we dreamed of. I am mostly an Oak - woodsy type of person and that is one thing I am looking for in design. I got catalogues from the best ones in the industry and some of them are not as par. Here I go relying again on the Internet to get what I want, so I clicked a couple of sites and found one exactly for the DINING ROOM FURNITURE I need. I will probably get the one that is in the price range of about $1500 to $2000. Maybe if we are to get shipment costs lower, this would really be feasible. Then after that, my brother could probably pick up some other architectural pieces that would compliment what we have planned for the home. It is colder there, but it would be nice to get acquainted with that kind of weather when summer comes. That is just a great idea! I have been in the business industry for a while now. I earned much of what I have investing in blue chip stocks and trading treasury bills in my spare time. I know I still have a lot to learn since this is not my field of expertise but I know I would not be left behind. I have friends who are business analysts and they also fare well in the industry considering there is a so called world financial crisis. I kind of pick up from where they also begin their trading, but as anyone knows of the Philippine stock market... it is just going to be very volatile this year so I let the experts do the talking and the walking. 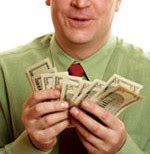 There is an Affordable Business Analysis Course that they could take in order to be the best in the world. They all want to be Certified Business Analyst Professionals and this is one avenue that they could use in order to achieve their goals. The CBAP exam though is very hard and they need all the help in order to memorize and understand BABOK 2.0. Not to mention courses like these are very expensive. BAMENTOR offers a special price of only $600 to the public. They however charge only $348 for IIBA members. These special rates only would apply until the end of the year and remain at par with prices of other prestigious review centers. That is one thing that they can do to make things easier in a span of only 6 weeks. I know this would help them a lot if they get certified because it will give them the needed edge in business analysis. In turn, they would benefit me and the small investments I have. Hey! I mean why would you go for someone who does not know how to run things in the first place?! It is our money on the line here and we obviously need to get people who know what they are doing. In a dog eat dog world like ours, it pays to get experts to do the job for you! The Nikon D60 Now In My Hands! It’s expensive but hey! Who said that getting one is cheap anyway! I just got my hands on the Nikon D60 which I was thinking of getting these past few months. Not to mention always mention in every conversation I had with my officemates. I was dead tired a while ago but you know how it feels when you try to sleep but you always kept on remembering something? Well that is the same exact thing I was doing a while ago. I don’t want to experience a time where all I ever dream of was cameras chasing me in my nightmares. That would really be odd but that’s what most of my dreams are made of. I did not sleep the day before literally and I was just lying on my bed practically squinting. Hopelessly trying to get some Z’s, but it never came. Too late it was already 7PM and I had to go to work at 9. Geeze, if only I knew that would happen I could have stayed in the office the whole day instead. Got to the van and drove all the way back to the office and done reports… but there it was again I was browsing camera sites at the side. It did not leave me alone, it just became worst because I was already taking notes of numbers, prices and establishments. Sleepy but I was still thinking of the camera… yeah I decided to go with the D60. The D60 ladies and gentlemen is much better than the D40 and a little less technical than the D90. If I had the moolah I would have gone for that but this one is just on the right place at the right time when I was looking for one. It was on the price range too, but I was thinking of getting a cheaper gray one or the one with the CDSC warranty on it. I made the choice of getting the CDSC which would practically get me through a worry free photography of 2 years free of service and parts at any authorized Nikon dealer. I’m a noob at photography but I will get there soon. I’m starting to learn a few jargons already and I’m kinda getting there. I’ll be creating a different photo blog for that I guess. That would be better right?! Wish me luck! I play golf every once in a while and it is a good stress reliever. I do not play professionally but veterans always tell me I should consider doing so. I think my swing was one convincing factor because I could have had a hurricane hitting the pimpled ball. I wonder how much would that cost since I am spending quite a bit in equipment already. With the popularity of the game and Tiger Woods carrying all the fame and fortune that the sport has brought, you just have to consider playing in the big league. I only go to Veterans Golf and Country Club to hit a few balls in the weekend. Sometimes, I also play in tournaments that are being handled by charitable institutions on the same course. A local Golfshop had a couple of announcements on their boards about events that included prizes; but would require me to dish out several thousands of pesos before I could play. I know that is how it goes but it is getting a little bit expensive for me. Some of them are branded too so I am not that quite surprised if they go over the budget. If you do not know how and where to buy equipment it would even cost you more. 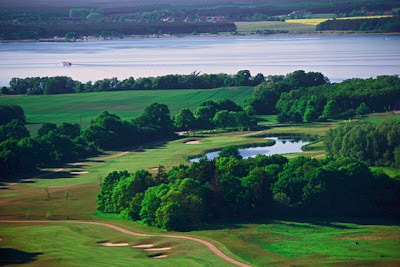 Golfreisen is next on my list because when I saw the picturesque beauty of the golf courses in Germany my jaws just dropped. I was at awe because even at the background you will never miss the mountains or some other postcard perfect locations. There are about 50 club memberships available in the different regions that can suit your taste. Do you remember those Marlboro commercials in TV? The sights were almost exactly like that or more. Maybe they did take a couple of their shots there. It is just pretty and I would love to go and visit their golf courses soon. Platzreife is also available for those who would want to apply. You need that so you can play in Germany; it is a special permit for golf players. I hope I can get one soon, I barely have extra money for Philippine tourneys so I better plan ahead if I do think about going on tournaments in Germany at this time. I need to get my plans made because this will be one heck of a vacation. I need to make my dreams a reality and if that means I have to spend a whole month there, I will never think twice! It's Memorial Day in the US and everybody is on festive mood because my site seems on a slump lately. I've got to be crazy not to notice that because every program in cable was showing celebrations in the US and other naval and air bases around the world. This particular day is celebrated each last Monday of May and is done to thank each and everyone who participated in the 2 world wars that the country went to. Not to mention the other small wars that some Filipino soldiers also participated in. I know because my Grandpa was part of it too, well let me just rephrase that because I think everyone at that time was part of it in the Philippines. We really did play a major role in the war and thousands of Filipinos died at that time. I remember my Grandma said a few things about going to the provinces to evacuate so they can stay away from Japanese soldiers who infiltrated the major cities. It was a good thing they bombed Hiroshima and Nagasaki otherwise there would have been more nations that could have gone under threat. We are situated in such a strategic place in the Pacific Ocean that everyone had to make us a part of it. I wonder what I could have done at that time... well I better stop day dreaming and start working. I've got tons of reports to do obviously. 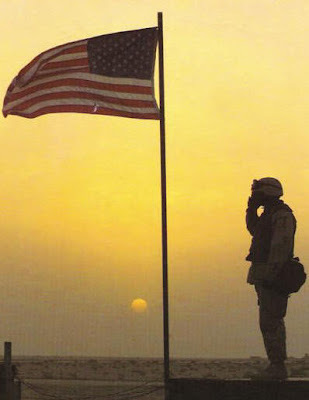 To the veterans, thank you! Happy Memorial Day! 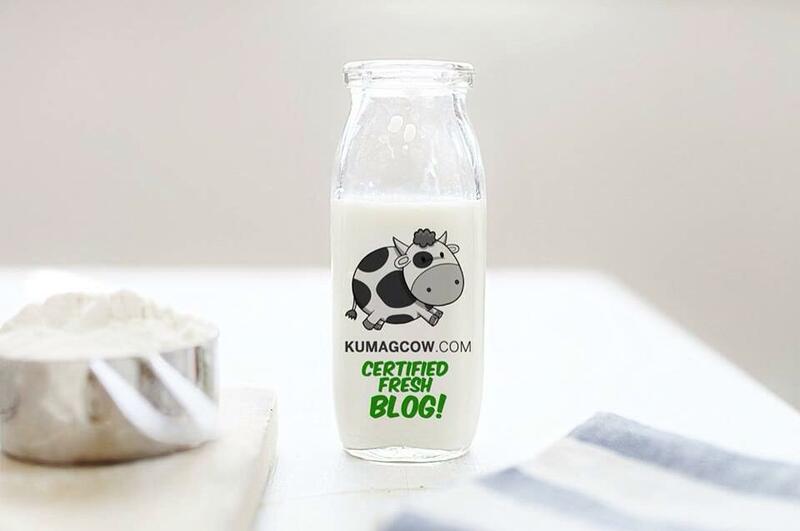 Who Will Be Hosting My Site Next Year?! My web hosting subscription is ending on August 2009 and I have not decided yet on what service I should pay for next year. The web site loads a little slow because of the hundreds of images I already have on it. I just do not know if it is caused by bandwidth restrictions or just the widgets I have loaded on my site. Funny you should ask, but I am really contemplating on getting a faster one real soon. I have to weigh the pros and cons obviously; there should be something that I can do to decide real soon. I see there are web sites that review these service providers, maybe I need to go there and take a look. Experts already have indicated their web hosting rating on each of them and even ranked them according to specifications. The last person to have their say is the consumers. I will probably try and investigate how these companies fare with ordinary people and how they perform in real time. I know there are fly by night ones that give their services at a low price, but in the end will only get your site crawl a few minutes to load each time someone accesses it. That would be just bad for business and for your readers. I hope the top companies listed there are at par with standards. I fervently hope also that what they indicate on the specifications would really work for me. I trust the site who rates them since they not only give you names. They also educate people like us who do not understand the jargons too much in this industry. I am a geek but of course there are still some things that are oblivious to me. Good thing they are here to help! Web hosting rating has never been so easy to understand! Well sportsfans! There it goes! Our first case of the AH1N1 Influenza Virus has just been reported. I was watching the local news "BANDILA" when Henry Omaga Diaz mentioned this on his report. Funny how we thought we would never have had any case but look at this one now. We thought we were not even vulnerable since we did not have avian flu last year. Sorry folks, it was a 10 year old kid (girl) who came from Canada via US that carried this virus and eluded the thermal scanners at the airport. She never had a fever when she was in the plane but she was rushed to the hospital after complaining with the same symptoms as with the dreaded swine flu. Every one should now take certain precaution since the DOH did not release the location of the patient who is now in the RITM in Muntinlupa. Well how about the people who were actually inside the plane when she came here? Do we also need to worry about that? How about the people at their home? If the DOH plans not to tell us, then everyone is at risk. They should at least let us know so we can stay away from the same place where she's been right? People are really not thinking much these days. Arrrrgh! Some of you may not know the symptoms but it is quite similar to the symptoms of regular human seasonal influenza that include fever, lethargy, lack of appetite and coughing. 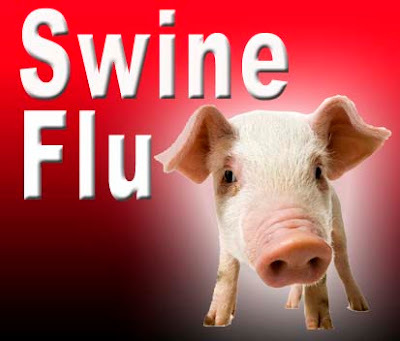 Some people with swine flu also have reported runny nose, sore throat, nausea, vomiting and diarrhea. Now for Effin's sake if you feel sick with the symptoms above, get to the hospital or lock your self in a bank's vault so no one could touch you... jeeze... if you guys try self medication, you would probably die you know! Get to the hospital quick! I'm not much of a horror movie fan but all my friends have this notion to watch every single one that is out in the market just so I could not get some sleep and get me frightened every time. Not that I was given a fright but I do have this notion that after watching this gory and blood stricken DVD, the next thing to happen is a nightmare for me. 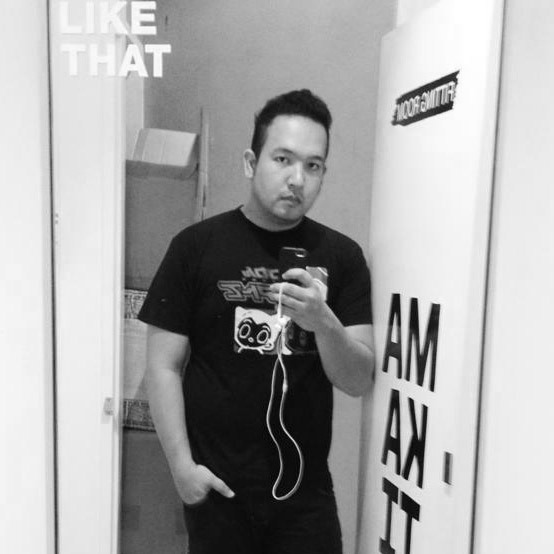 I know it sounds foolish but it is becoming automatic. I know you would laugh at me like they did but hey, I guess we just live in different worlds. In the Philippines, it is very expensive to purchase DVD or Blue Ray Discs. Chances are, if you even had to purchase one it would only consist of old movies and re runs. You would never get to see the latest movies unless you purchase pirated copies of it which is illegal and you can eventually get jailed for. Downloading them off the Internet plays the same music because of copyright infringement laws so the best option is to go ahead and rent these for a minimal fee. This is how most Filipinos usually spend their weekends with their family and this is how they coined the term DVD Marathon which would mean they watch it the whole day. Funny to see people glued to their TV sets that long but it really does happen in this side of the world. One thing I hate though is the instances where my friends usually watch the DVD movies instead of me. They borrow without asking as usual but I do not mind at all. It's just that if they do borrow it sometimes, they neglect to return it on time. It makes me the original borrower, pay for the corresponding dues which cost a lot in Philippine pesos. If only we had BLOCKBUSTER around the corner. I could take advantage of their Total Access Plans and have them returned by mail. My friends are all from outside the skirts of Metro Manila so if they had this option, it would really be easy to ask them and drop them off. If they also pass by these stores, they can immediately exchange it for the latest movies and take care of those pesky late fees that come with it. This is perfect for those friends who you could not say NO to. Local video stores would just be at envy if they knew it was going to be this easy. There are no more horror stories anymore with BLOCKBUSTER around! Something Funny and Something to be Proud Of! Two things ran into my mind this week, one is Eugene Domingo. This funny lady has never failed to amuse me with her antics specifically the "HANDUSAY" part of her skits. When it made me laugh, I usually cringe because I could not stop thinking about it. In this particular video above, she interviews David Archuleta and David Cook while performing a few tasks for Anjo Yllana. This is so funny, and I'm proud to say I am an UGE fan. I will continue to watch her shows and movies. I'll try and get some humorous stuff from her too lolz. This other video shows Charice in another one of her stellar performances over at the Oprah show. She launched her US debut single called "Note to God" which was originally sang by Jojo and the other girl from America's Got Talent... I forgot her name. Anyway, both David Foster and the composer already said that only she can do justice to this beautiful song. And she did... astounded audiences around the world she also now has a chart topper under her belt. Thanks to Oprah she's got the second most downloadable song in ITUNES. She also plans to collaborate with Justin Timberlake soon. Maybe she has a crush on him too like when she did with Josh Groban. Goodluck to this pretty lil girl from Laguna, which is a few hours away from here. ^_^ So proud of her! I was watching Amazing Race Asia this morning and one of the destinations they went to was Hamburg, Germany. I fell in love with the picturesque sights that was shown in that 30 minute part of the show because it was a combination of artistic and nice tourist attractions. It is a dream wedding destination and I could not help but smile a little every time they pass by large architectural buildings that spelled photography for me. It would really be nice if I could come there one day and take a lot of pictures since that is one great frustration for me. Aside from that, if I retire one of these days from this busy work I have been doing for the past 5 years I would probably think of this city to play one of my favorite sports which is golf. Golf in the Philippines is a little expensive and would usually need exclusive memberships that cost around 3 Million Pesos. I do not have many luxurious vices and I was offered this a few years ago, but with that amount it is just not that practical anymore. Golf and similar establishments in Germany has been given much importance by the parliament. Without their support it would not be too easy to weather the world financial crisis because most businesses suffered a lot in the past few months. Not to mention some of the world renowned beer gardens shutting down operation so they could at least pay off their employees. Golfreisen has been one way to make good business in this industry as more and more tourists flock to this first world country. 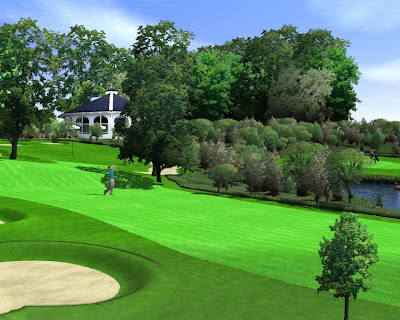 With the packages they offer for professional or non professional golfers from outside Germany, one can never resist playing in their world class courses. I remember when Colin Montgomery played in the early 90's where no one could beat him for 2 straight years. He really enjoyed the German Open course because it is at par with the world's best. The designs were made from professional golfers and architects and you can see it evidently as he played through each hole. I envy him a lot and would give anything to experience that. I hope someday, somehow I could get myself a Platzreife (a German golf license) so when the time comes that I get the chance to have a long golf ridden vacation... Germany would be my next destination. I just hope the next few strokes I play would not be just in local ones by then. I hope I get the chance to play in larger tournaments and not just charity ones which I often end up with. Not that I am complaining but it would be nice to do this professionally. That is another dream! Ha-ha! The movie was what it was supposed to be, a very great sequel to the first movie based on a novel by Dan Brown. Tom Hanks did an excellent job in this movie convincing me to stay glued to the movie screen even if it was already 12AM when we watched it. The theater was jam packed considering it was small and not that much frequented by the masses, and I was in for a treat. This was a movie date with my Mom, Dad and Sister who were fans of the first one. I admit I did not see that in a theater but that is nothing that Star Movies could not show me at home. I also read the two books and I think that even if these are fiction, and raised eyebrows of many Catholics around the world... it is a must to watch. As cold as it was in that tiny corner of the movie house I sat in, I never really got sleepy. The professor from Harvard was visited by a man who carried a suitcase. Judging from the crest that had 2 keys on it, he was evidently sent by the Vatican. 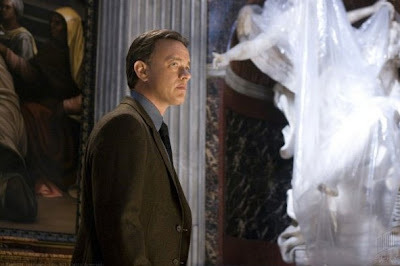 Tom Hanks who played Professor Langdon was needed at the time where the Pope just recently died, and a case where his expertise was needed just popped up. He was given access to the archives to resolve an anti matter explosion that could wipe out the whole city while the entire world waits for an election of a new Pope. This was rumored to be done by the ILLUMINATI. The anti matter fragment was a new discovery, and it came from that machine which I know was being made in Europe to split an atom. It was being studied for use in Energy production. The anti matter was a by product of this process but someone took it. It ended up in the Vatican where all clues pointed to the ILLUMINATI being responsible for it. Several threats were sent by the guy that the kidnapped cardinals (who were called preferrati I think) told them this explosion were to happen at midnight and they were also going to be killed one by one in public every 2 hours. Now that Langdon arrived, he needs to find a path that would lead to the secret meeting place of the ILLUMINATI where the anti matter particle was hidden. Various artworks and churches lead the way representing Earth, Air, Fire and Water. The first three cardinals were killed one by one in churches outside the Vatican, the angel sculptures point to the exact location of each. They however failed to kill the last one who was saved by Langdon and he told them of its location. 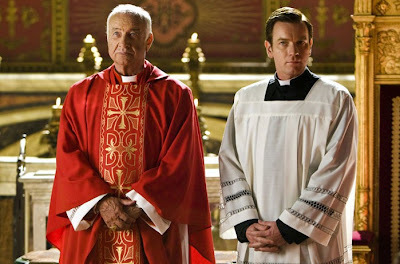 The whole thing was a huge conspiracy made by Ewan McGregor who was excellent in this movie, he was later found to have orchestrated the whole thing because of a recorded video inside the Pope's quarters. 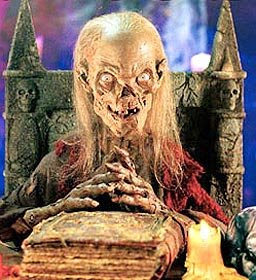 The Pope was also poisoned in the movie. It ended with Ewan McGregor being found out by the Cardinals, and the new Pope (the last one among the 4 preferratis) was elected. I really liked the movie and I'm giving it 4 KUMAGS. The Cons? Maybe some people may wish to have more action and fast sequences but all in all everything was fine for me. So if you have not watched it yet, go to the nearest movie house now and buy a ticket. It's worth watching! I did not know about property management before but when I saw this documentary of a new graduate from a prominent school here in the Philippines, I knew he needed this type of service. A company called Real Property Management recently just received an honorable mention award for Franchise of the Year. With their exceptional performance for 2008 they have been given this recognition as a testament to their remarkable achievements in the service industry. The guy I saw in the documentary was a fresh management graduate and the gift that he received from his parents was a resort. Yes ladies and gentlemen, I was also shocked to learn about that too. He was given a complete resort full of amenities and the only thing left for him to do was hire people and manage it. This is the perfect example of a company that Real Property Management could help. Their experience says it all because RPM already is managing over 20,000 units in the US alone. Property owners are already saving dollars, get financial reports on a 24/7 basis and getting exceptional service from RPM that deploys managers, accountants and professionals... so why not give them a call now! It's Saturday again and I'm dying to go out. I'm smelling my Mom's cooking and the usual menu on weekends is GATA. She did not put any BAGOONG or SHRIMP on it because obviously I'm allergic to seafood. So as to not put me into St. Lukes, she used salted fish instead. 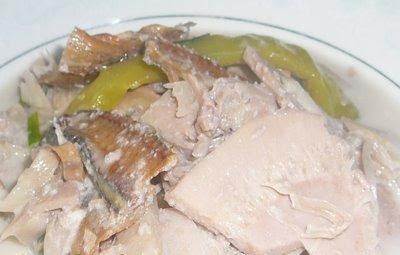 Fish is okay for me and I kinda like LANGKA still with some things on it so I ate some this afternoon. That was YUMMY! It is comfort food. One that I need at these times when I'm depressed. I'm in a lot of trouble again in that department. I hate it when we fight. I hate it a lot. I feel I'm a fool. I think I was fooled. Hayyyy.... I don't even want to talk about it. I just hope I don't have a heart attack. I wonder if this is a sign I should study again. Or maybe get that camera I wished for. I've been dreaming about it for a few weeks already. But that's like 70 thousand bucks so I'm thinking twice about buying that D90 Nikon Camera. Yes it is a little expensive but it would make me one happy boy! The images that were caught by this one was so nice I admire every photographer that had it. I just hope I could afford it. I can, but it would mean I need to get all my funds for this one. I don't think it is quite sufficient enough that I want it. I'm in a mood where I only buy stuff when I need it. I don't need it that much but I would be happy to get one. So don't forget to donate thru paypal on my site heheh. A dollar would do. Thanks! More Than A Cup of Joe!